Thomas Dilloway was born in Chelmsford in 1986. Whilst growing up he was a self taught artist, delving into Illustration, Graffiti, Graphic Design, Photography and Fashion. At 22, in 2009, he went travelling for a year and upon returning realised his desire to study and follow his passion for art. 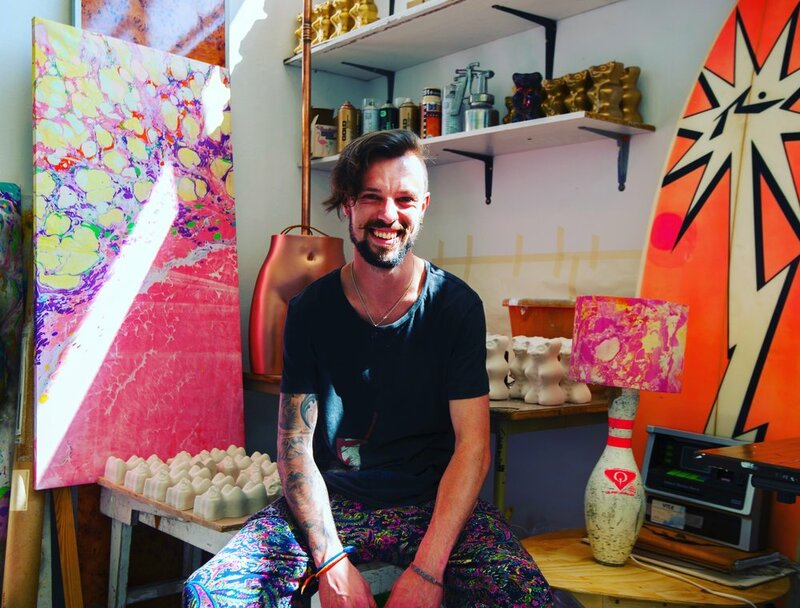 In 2012 he went on to study Art and Design Level 0 at The Colchester School of Art and found that his interest in Sociology, Philosophy, the visual language and mixed media leant itself to Fine Art. In 2014 he started his Bachelor of Arts and in 2017 passed with a First class. On the same day that he received his First class he was awarded the CAS & CFS GAS (Colchester Art Society & Cuckoo Farm Studios Graduate Award Scheme) which entails a year long residency at CFS, a bursary supplied by CAS and a solo exhibition at The Minories Gallery, amongst other things.